Ensete lecongkietii is a new species found in northern Thailand and Vietnam. 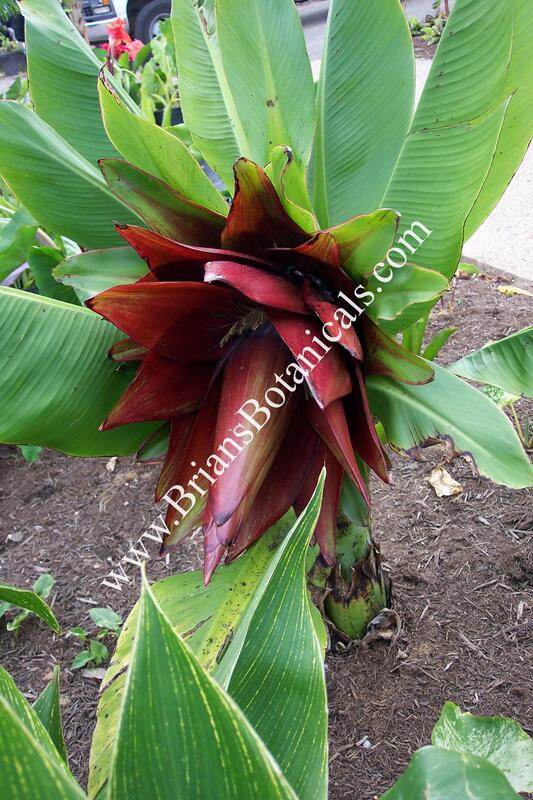 This Ensete is a compact grower reaching only 6 to 8 feet tall and looking more like a dwarf form of Ensete ventricosum. The leaves are green with yellow mid vein on top and red mid-veins underneath the foliage. The flowers are held above the foliage emerging form the center of the plant. It produces a large red flower over 1 foot across. With it’s compact birds-nest habit and stiff foliage this should be a great plant for containers and tropical displays. Keeping a bit more modest size than the other species.